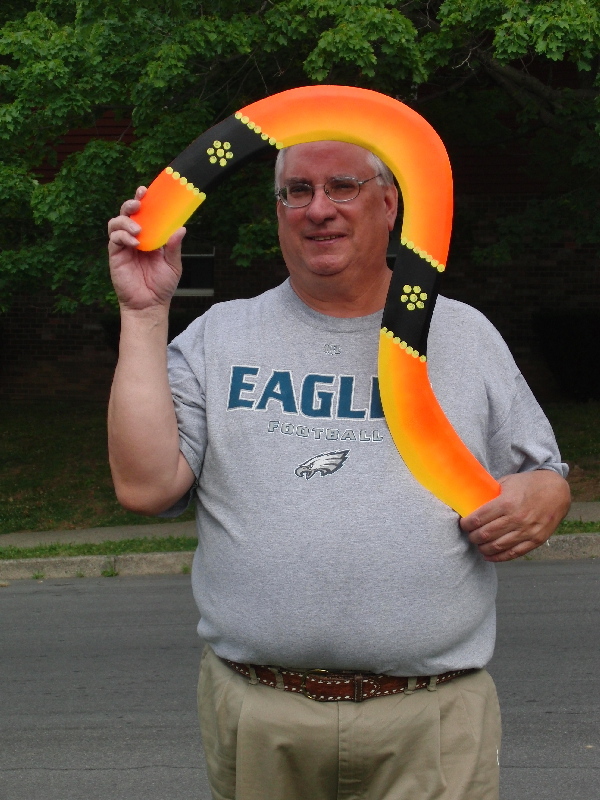 I haven’t been able to do much with boomerangs since the long distance competition. Rob Stewart put airfoils on my super sized Voyager out in Canton and over the weekend I managed to find enough time to get it properly painted. Here it is. The boomerang hadn’t been painted when the video was taken. Rob and I plan to get a new video of it painted. It should look fantastic in the air.